1,9km swimming. 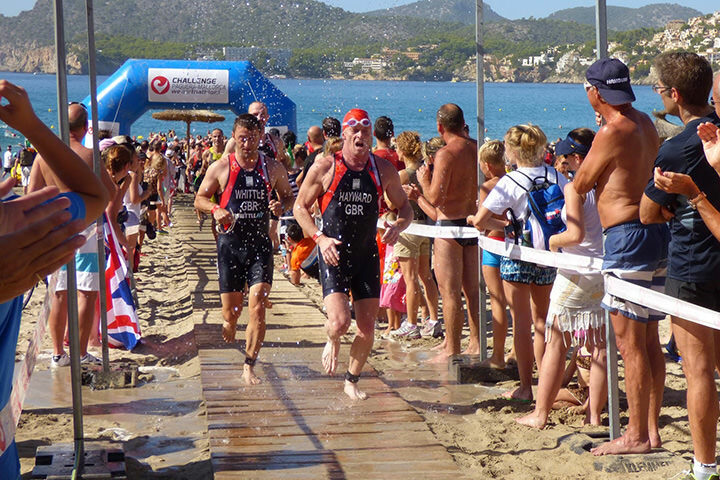 Between the Torá beach and the La Romana beach, with 1h 20min of maximum duration. 90km bike ride. The cycling route is disputed between some of the best places in Calvia and other parts of Mallorca. The highest part of the circuit is Es Capdellà, and the cut time for the cycling segment is 15.05h. 21km de marathon. 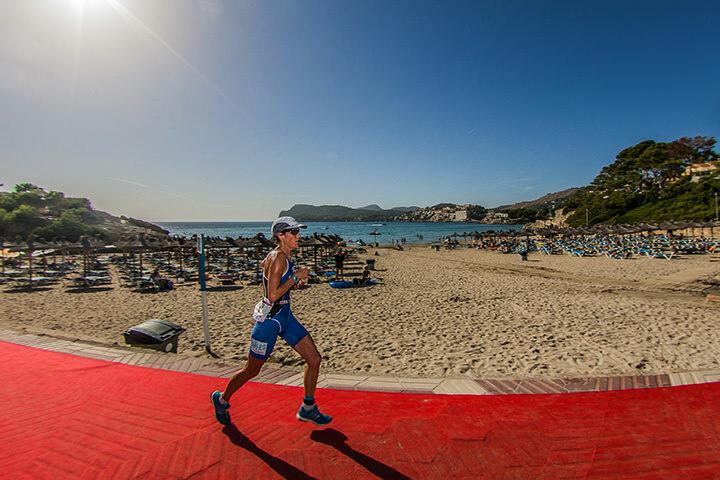 The running circuit takes route within the town of Paguera and the cut time for the running segment is at 18.00h. 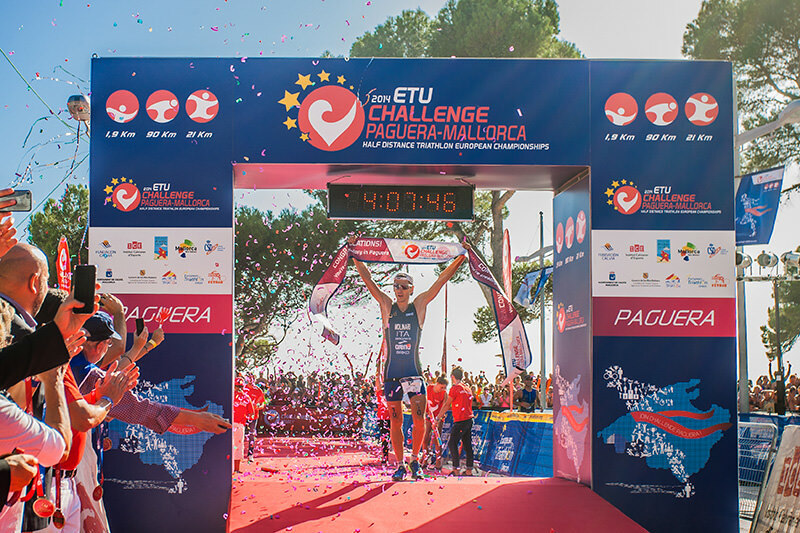 When it comes to the 2017 edition of Challenge Mallorca, this will be disputed on the upcoming 14th of October, although all of the celebrations will start on the 12th of October and end on the 16th. Amongst the celebrations of previous years there have been jazz concerts or Nit de Foc (fire night), in other words, it´s not just a kind of race but a celebration which you can attend with family. On the other hand, we can also find the Challenge Women Run, a complementary activity for all of those women who choose to participate in a less competitive but just as fun race (5km). It will also be a day dedicated exclusively to women, with spa, treats and a unique social program. And to finish off, there´s the Pasta Party, an incredible party dedicated exclusively to pasta and carbohydrates. 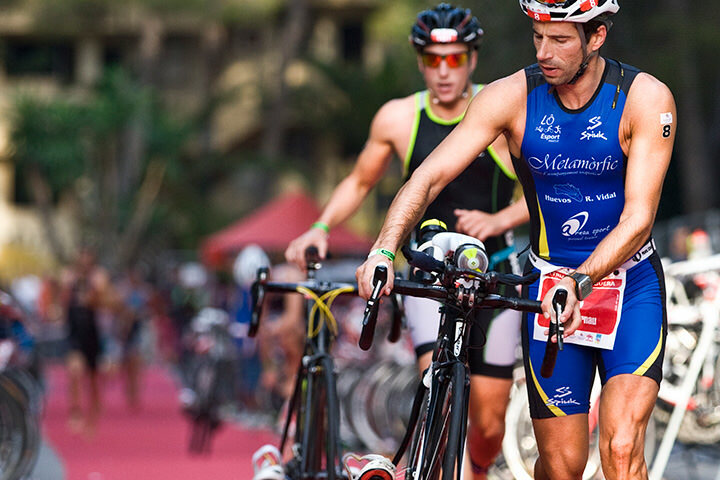 It takes place the day after the race at the Casal de Paguera, and has an overflowing food buffet. There´s also music and entertainment to be enjoyed throughout the banquet. The time frame is from 12.30 to 15.30.